It has been confirmed today that Steve Jobs is receiving treatment for cancer in the Stanford Cancer Center in Palo Alto, California. RadarOnine reported today that it’s the same Clinic where Hollywood Actor the Late Patrick Swayze was undergoing chemotherapy for pancreatic cancer in April 2009. There has been no formal confirmation of what type of cancer Jobs is being treated for or if he is being treated at all for cancer from the Apple spokes team. Jobs was not forthcoming about the reason he took a medical leave of absence. Photographs of the 55-year-old Apple CEO were taken on Febuary the 8th outside the clinic and are reported to be published by the The National Enquirer tomorrow morning. In one photo, Jobs was getting out of his car a day after a full day of work at the company’s Cupertino campus. The photos show Mr Jobs looking painfully frail and weak, with his jeans and dark top hanging loosely on his 6ft 2in, thin body. 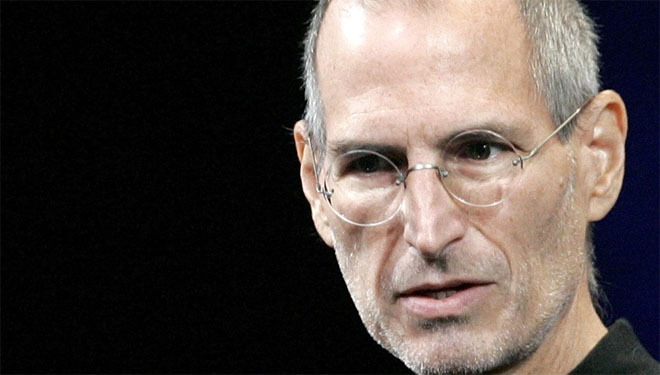 Jobs has previously withheld information on his health, such as when he was treated for a form of pancreatic cancer in 2004 and underwent a liver transplant in 2009, something that worries Apple investors who feel the company’s future rests in his visionary leadership. The National Enquirer, who initially reported the news today (to be published tomorrow), talked to critical-care physician Dr. Samuel Jacobson, who said, “Judging from the photos, he is close to terminal. I would say he has six weeks.” That said, given the reliability of The National Enquirer, waiting for further news before jumping to conclusions is advised. We’ve done a little digging into Dr. Samuel Jacobson. Jacobson appears to be a Florida based pulmonologist (breathing doctor) – not Oncologist. Which would naturally make you wonder just how qualified he is to diagnose someone via a photo, especially outside of his speciality. We sincerely hope he’s wrong and wish Jobs all the best. Note: Given the reliability of the source ‘claiming 6 weeks’, we changed the title of this piece soon after publishing. Update: Steve Jobs is reportedly meeting President Barack Obama today. More info here.